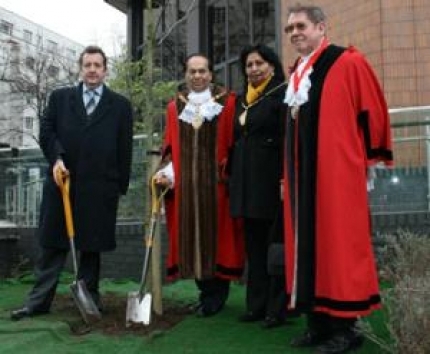 EALING Council Leader Julian Bell and Mayor of Ealing, Councillor Rajinder Mann, have planted a tree in front of the council's Perceval House offices to commemorate the victims of the Holocaust. Yesterday (January 27), was the 66th anniversary of the liberation of Auschwitz concentration camp in south-west Poland. Presseerklärung Gerechtigkeit für Hrant Dink! Gerechtigkeit für das armenische Volk!